The Q-Tech HVLP Q5 turbine unit. 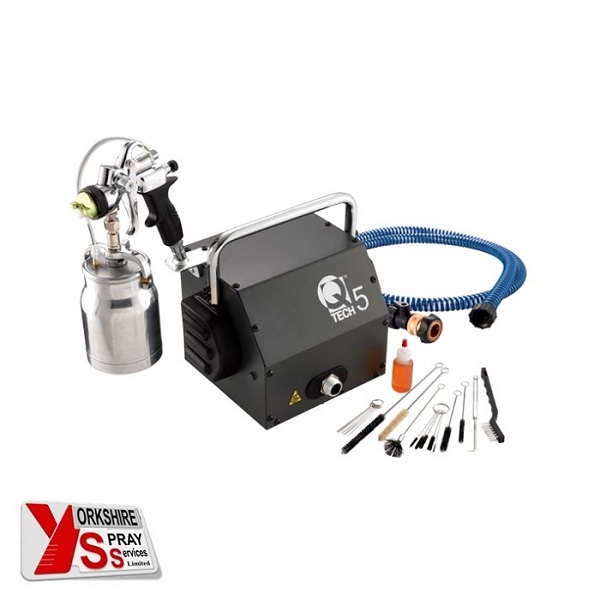 The ultimate professional HVLP turbine system that comes complete with professional Suction or Gravity spray gun. 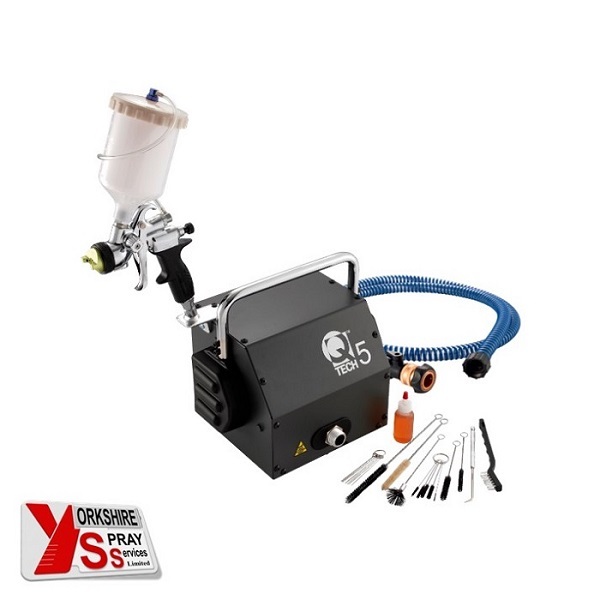 Low-pressure spraying systems are particularly useful for quick and cost-effective work on small areas. The Q-Tech HVLP Q5 – 5 Stage turbine unit is a low-pressure spraying system particularly useful for quick and cost-effective work on small areas. The Q-Tech HVLP Q5 turbine unit. The ultimate professional HVLP turbine system that comes complete with professional Suction Gun with 1000ml Cup or Gravity Gun with 650ml Cup. This all-new range of Q-Tech Turbines, 3 & 5 Stage combines the cost-effectiveness of the Q-Tech brand with the best in manufacturing from North America. 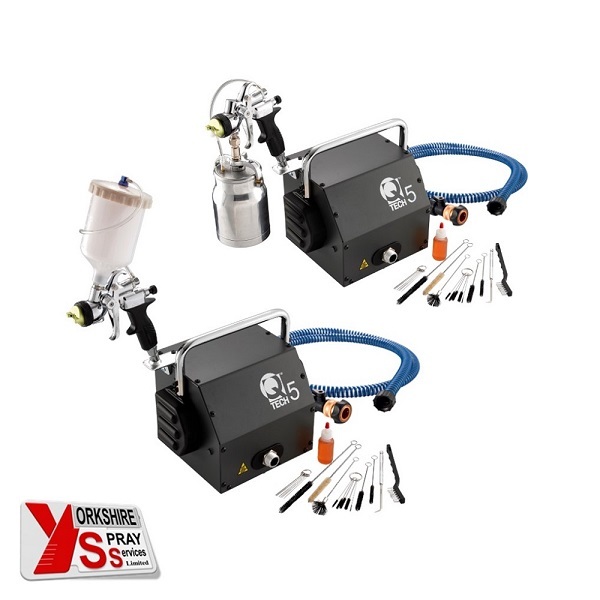 Designed with the professional decorator in mind, these machines bring together in one easily understood range all the choices the trade person looks for.